Ask your doctor questions online. No phone tag, no wait. Wish there was an easier way to respond quickly to non-urgent requests? Are you frustrated trying to ask you doctor simple questions? Patient Communicator is a HIPAA-compliant messaging platform that moves phone calls to the web, allowing doctors and staff to answer questions easily. It's concierge service for patients, drives office efficiencies and is free for doctors. Learn how Dr. Novich provides concierge care to his patients and was able to cut phone calls by 75% and lower his overhead to under 15%. As featured on FOX News Live! 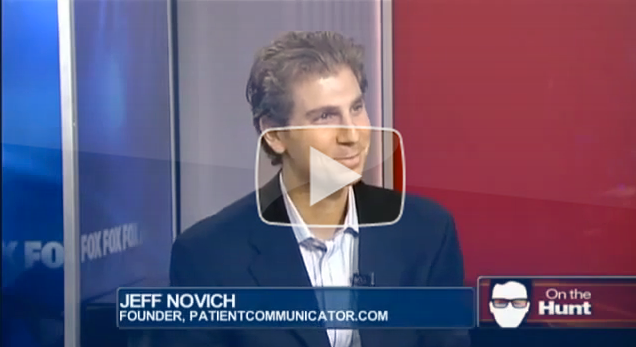 What Patient Communicator can do! Patient Communicator is a HIPAA-compliant messaging web site where your patients can ask questions online rather than through a disruptive phone call. Patients pay a modest yearly fee for the service* and you enjoy increased monthly revenue. Finally, a simple service that allows you to easily provide concierge services to your patients. Offer concierge medicine: Our model lets you introduce concierge services to your patients while continuing to accept insurance. Save time each day. Phone calls are disruptive and eat up most of the productive time from your staff. Online communications from patients will free up the phone for other requests. * If you want to provide secure messaging for free to your patients, we offer a $50/month plan for unlimited use. Sending and receiving messages takes seconds! Can I eat this food while I’m on this medication? I’m unclear about my bill from last week. I don’t understand the directions on my prescription. * Response time is determined by your doctor, typically 2 business hours during the week. Patient Communicator should not be used for urgent medical issues. Patient Communicator is a secure messaging service that lets you ask your doctor non-urgent questions online rather than having to wait on hold and play phone tag. No more phone calls, waiting on hold, leaving messages or playing phone tag. Do you want better access to your doctor? © Patient Communicator 2012. All Rights Reserved.